The best use of social media is to tell your brands story through curating and creating thoughtful content. 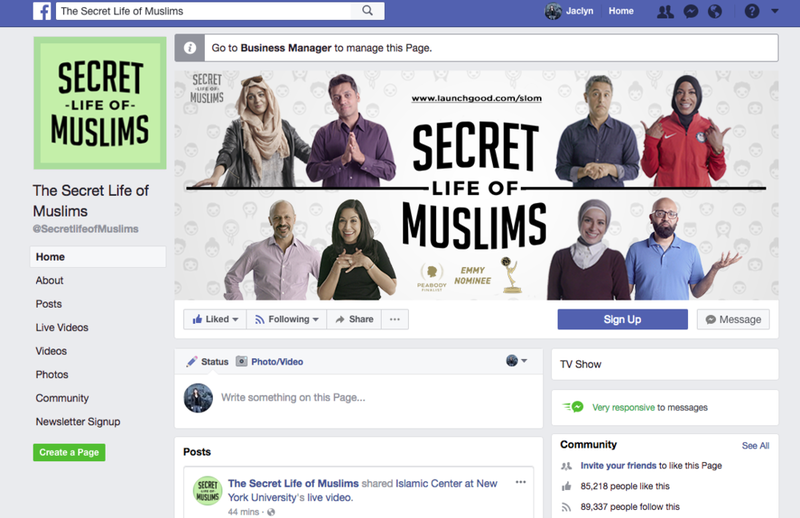 I currently manage a social campaign around the digital series, The Secret Life of Muslims, its purpose is to foster empathy and understanding towards Muslim Americans. The videos at the center of the series have been viewed over 34 million times and received both Emmy and Peabody nominations this year. I have managed its social media since its inception growing its Facebook page to over 88,000 followers. To accomplish this, I forged strategic partnerships with influencers within the Muslim American community and cultivated an online community through curating thoughtful engaging content. I also managed a successful crowdfunding campaign which raised over $40,000 using Facebook Ads to boost visibility and contributions. In the past, I have managed both business and arts-related social media pages. For Agro Art Accounting (an accounting company focused on artists), I curated and created content to generate leads and converted those leads into sales. For The Mill (a theatre company), I not only ran all of their social media platforms and created their website (Squarespace), I wrote press releases, managed mailing lists, and coordinated all customer-facing creative. I have experience with all of the major social media platforms including Pinterest, Instagram, Vimeo, and YouTube. I have always been an early adopter of social media and am very comfortable curating content, writing posts, and creating opportunities for interaction. While I specialize in social media, I excel because my content is informed by the experience I have in traditional forms of PR and marketing. This knowledge makes me a savvy poster of content that is both desirable and engaging, but most importantly on brand for your consumer. I've attached my resume to give you a sense of the broad set of experiences I have had and how they inform the work that I do.